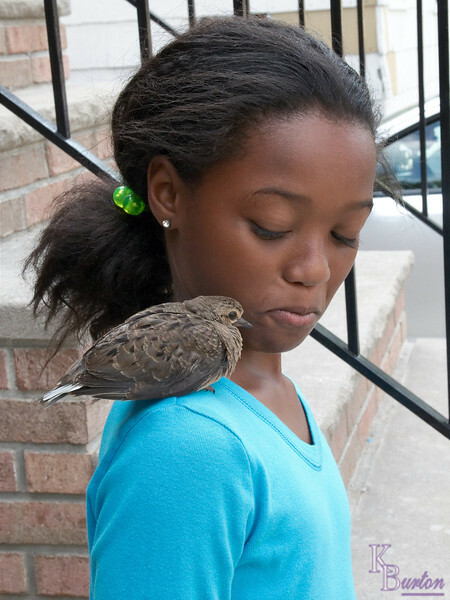 Love the cute bird and precious look on the girl's face. great capture. that is a young turtle dove.